Corporate Housing Factory is one of the few serviced apartment providers that solely serves corporate clients in the Netherlands. We excel in providing comfortable home-style apartments for short, medium or longer stays from one week onwards. Our concept offers today’s business traveler a pleasant home combined with the service and comfort of a luxurious hotel. The stylish apartments are geared specifically to guests arriving with toiletries and clothing only. With our knowledge, top-notch service levels and dedicated team, you can experience corporate housing the way we think it should be: where luxury and high level interior decorating meets the comfort of in-house facilities such as a health club and underground parking, combined with an easily accessible location. In short, it’s easy living. We believe in creating a true “feeling at home” experience and we will take care of you or your employees from the moment they arrive in the Netherlands. Many corporate clients are renowned multinationals who value the ease, choice, attention to detail and excellent service that ‘ the Factory’ offers. 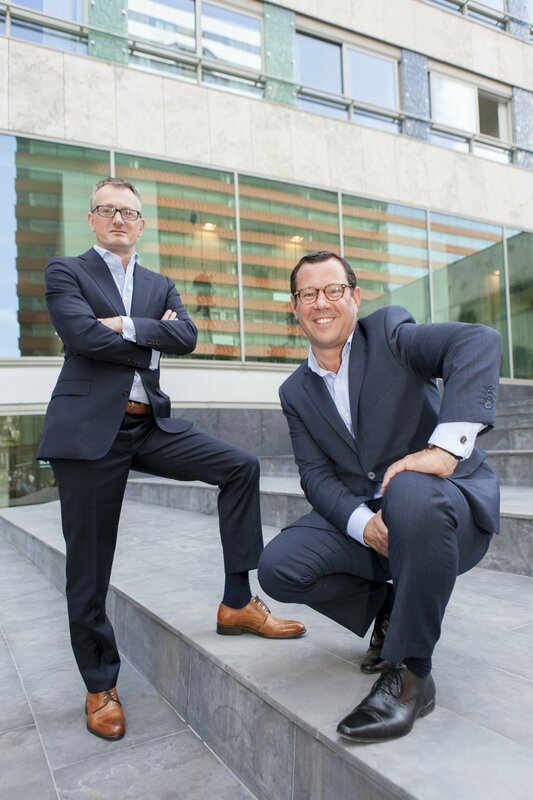 Directors Jouke Baaima and Michael Berendsen took on the corporate housing activities of Vesteda in 2013 and, together with its team, formed the Corporate Housing Factory under the premise: ’It’s time for a third flavor; hotel, house or Serviced Apartment’. Filling the gap between a rented residence and a hotel room. When Vesteda decided to divest their housing department, Baaima and Berendsen were already managing it, so they agreed to take over, expanding on what was already in place and offering an even broader range of apartments and services. Corporate Housing Factory’s combined knowledge of real estate markets, relocation and the hospitality sector turns out to be a winning combination. Previous to working for the factory, Baaima worked in hotels and hospitality operations management in London and New York, while Berendsen has a strong background in international relocation due to his years with SIRVA. They started working together at Vesteda’s corporate housing department in 2008. Our dedicated team currently manages 150 apartments focused on Rotterdam, The Hague, Amsterdam, and Eindhoven – with more to come across the country. Future plans include worldwide expansion to other cities. Have a look at all the people behind Corporate Housing Factory!